There’s nothing quite like relaxing in your two story mega-luxury jumbo jet sipping on a cocktail at 35,000 feet and chatting with friends. In this case, those friends may have to be Bill Gates or Warren Buffet in order to afford the ticket. 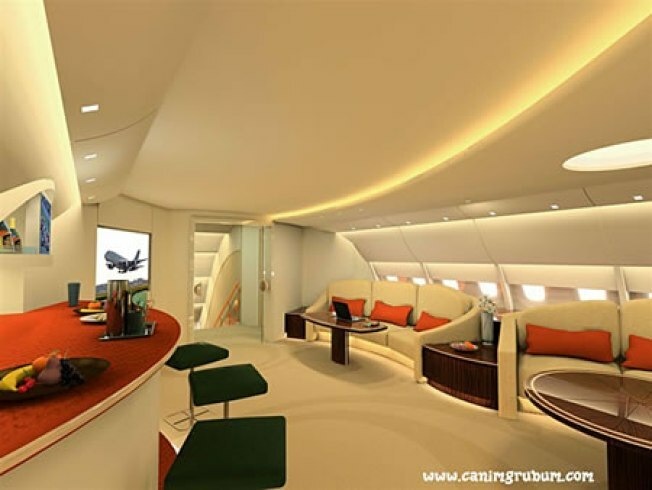 Germany’s Lufthansa Technik, a luxury decorating and customization firm, is rumored to have proposed a VIP Saloon for the Airbus A380, the world's largest commercial jetliner. Be sure to browse the slide show. This incredible space includes spacious living rooms, bedroom suites complete with showers, a full bar, and a dining room for parties and entertaining. There’s no word on potential builders but if it happens, bring your Visa card. Booking a First Class seat on the A380 currently starts around $13,000 for us regular folks. We imagine this high-end luxury suite may be just a bit more.